Trevor Noah. It’s a name that’s gone viral ever since word went out that he would take over The Daily Show. Left and right, critics arose, but Jon Stewart, who retires as host to this Comedy Central show supports him, saying, “Trevor Noah will earn your trust and respect. Or not. I hope you give him an opportunity to earn that trust and respect.” He also says in a separate statement, “I’m thrilled for the show and for Trevor. He’s a tremendous comic and talent that we’ve loved working with.” The announcement came in April but I still want to talk about it. 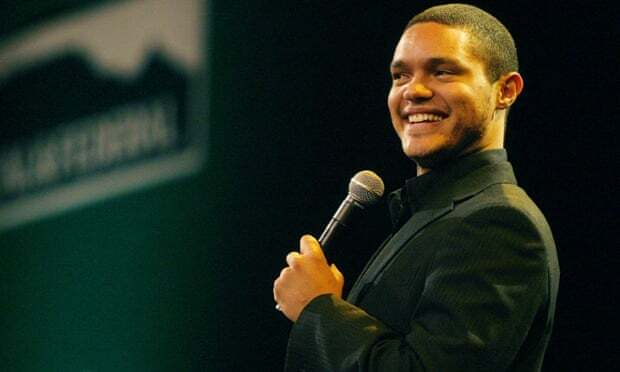 So, who is Trevor Noah anyway? A huge commotion followed, starting with attacks on his statements on Twitter where people accused him of being anti-semitic, sexist and racist. He received major backlash from many offended groups including women’s rights groups. If we can’t find reasons to laugh then we will only ever cry. Happy and sad are two sides of the same coin. Media, such as The Young Turks, seem to have pointed out that a lot of people were jealous about him getting the job. And a New York Times writer named One of the most upsetting thing to have heard was Russell Peter’s accusation on Channel News Asia claiming with a straight face, that Noah as stolen jokes from him and another South African comedian. Fortunately, a statement by Peter on Twitter revealed that it was a hoax pulled off by the two comedians. I’m glad I can keep my respect for Peter. @Trevornoah OMG I can't believe how gullible the media are! Next time I'll choose a less awkward time to prank U! #PeopleWatchSingaporeanTV? That CNN Tonight segment didn’t even play the clip from his show completely, so definitely this will give people the impression that he was making racist remarks. Even if he was, it’s comedy – pun is always intended. Like many though, I am a bit skeptical of Noah’s taking over the daily show. (My statement sounded as though he was going to colonize or something. Haha.) He’s bold, he’s smart, and I love the things he talks about. There’s variety and class, but there’s also culture and intellectual matters.I believe in his talent, but I also see that “The Daily Show” is not something you can take lightly. Another thing to consider is the fact that he isn’t from the country. The last thing his fans would want is him being given the title of “Persona Ingrata.” Noah has a lot to prove, and you guys don’t have to listen to me. But this is what I’m saying on my blog, truthfully, from the bottom of my – uh – hypothalamus. Trevor Noah is set to take over as host of The Daily Show on September 28, while August 6 is Stewart’s last day, unless this is another hoax to stir up the media. Not likely – I hope.